Almost two years ago, Bill Pendergast and his wife’s lives took a turn for the worse. In May 2016, Alberta’s Fort McMurray wildfire destroyed their home and all of their possessions. 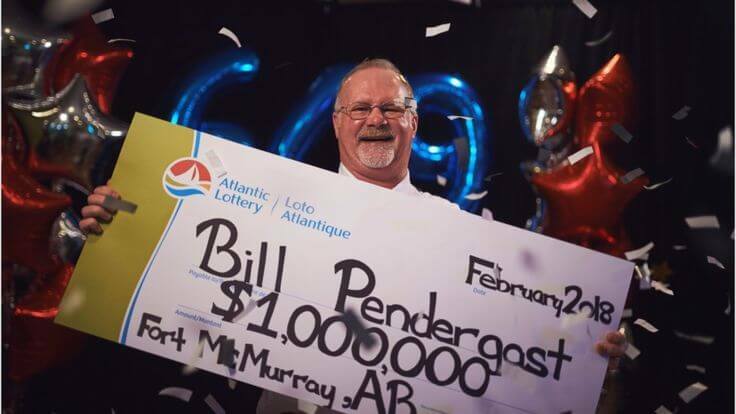 Things look brighter today for the Pendergast’s as they have become millionaires after winning $1,000,000 Canadian dollars from the Atlantic Lottery. This stroke of good fortune occurred because Bill Pendergast’s father wanted a refreshing beverage. When visiting his sick father in Newfoundland, Canada, Mr. Pendergast bought the ticket when picking up a “cold 7-up” from a local gas station that was requested by Bill’s father. On Sunday, February 4th, Bill woke up to a large commotion at his aunt’s house. 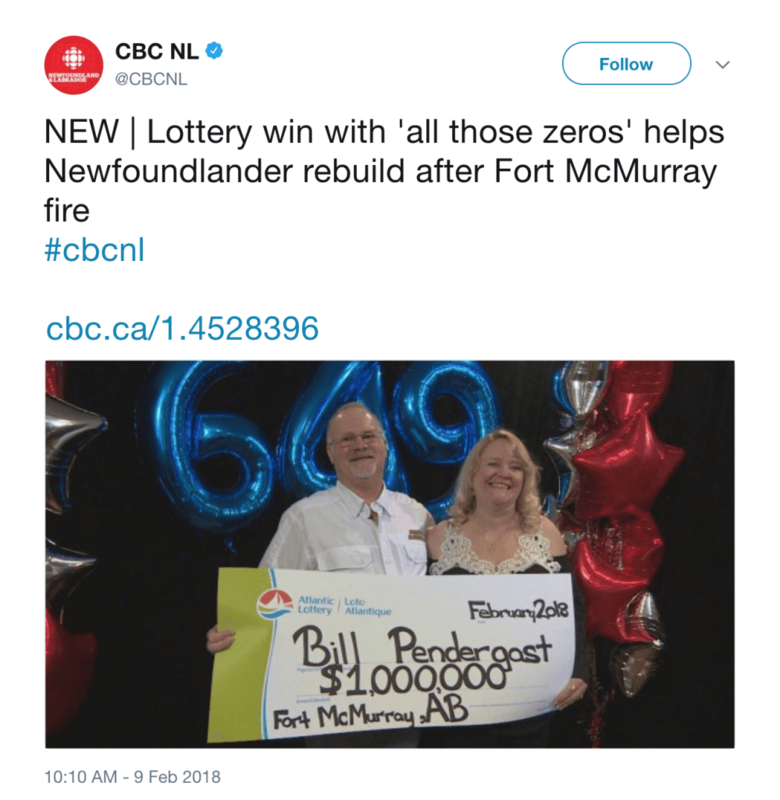 The gas station confirmed a winning ticket had been purchased there and the winning numbers matched those on his ticket. He was extremely excited and called his wife to tell her. Upon hearing the great news, his wife booked a ticket from their hometown in Fort McMurray to Newfoundland. Mr. Pendergast says “This is all like a dream”. The happy family is celebrating with a tropical vacation and rebuilding their former home. That’s not all though, Mr. Pendergast has always dreamt of owning a specific car. “I have always wanted a Mustang, and I will finally have one, I’m 100% sure of that,” he said.